Rising from the depths of Penns Cave, flows one of Pennsylvania's premier wild brown trout fisheries. 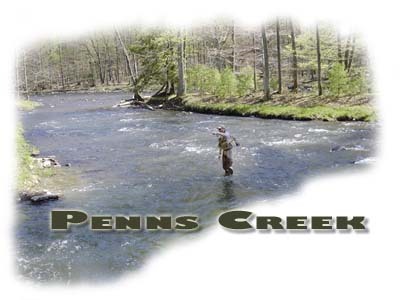 Due the cold, limstone-rich groundwater, many consider Penns Creek a trout haven. As it courses through the Pennsylvania countryside Penns takes on the volume of two very important tribs, Elk and Pine Creek. It is at this point where Penns takes on a character unlike any other stream in the United States. The combo of highly-fertile, alkaline-rich flows and a freestone-like charactertistics puts Penns in a league all to its own. We are talking hatches galore! Pick up any rock and you will be blown-away...hint..hint. And, add to that, a stream-bottom that warrents the best in wading-abilty. Some have even called it commando-fishing! This translates into big-time structure and lots of hiding places. 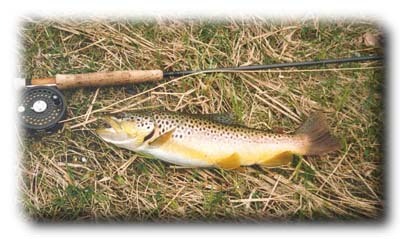 It is tough fishing and every trout brought to net on Penns, is a treasure. Here at Fly Fish PA we focus on the rugged, wilderness and road less stretch between Cherry Run and the upstream valley hamlet of Coburn. It is near the town of Coburn, where the two tribs mentioned above, provide their hefty dose of cold-water. This stretch, from Coburn downstream to Cherry Run is approximately 11 river miles, all of which is under special regulations. At which times you will hardly see a soul. Bug life in Penns is prolific. The first major dry fly action begins in early-April, with the Blue Quill, Quill Gordon and the Little Black Stone, potentially bringing fish to the top. Next you'll find the Grannom Caddis, toward the end of April. This can be some really-exciting dry fly fishing. The next significant hatches to occur are the Grey Fox, March Brown and Sulphurs. The world-famous Green Drake follows this up. Which usually coincides with the late-May thru early-June time frame. 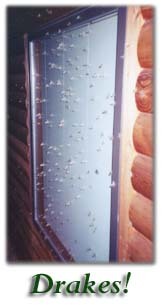 A strong population of stonefly nymphs and a wide variety of caddis species also supply a year-round food source. Due to Penns size and bottom characteristics, difficult wading conditions can be expected at all times. Felt soles with metal studs, along with a wading staff is highly recommended. The trout are notoriously finicky and fickle when it comes to feeding on top. Most likely due to the wealth of food available underneath. Bad weather on Penns equals' good fishing. Bring your rain gear. Because of it size and length, Penn's Creek can also be subject to extremes in water temperature. During cool, wet summers (such as 2003) Penn's can fish well during July and August, allowing anglers to sample its abundant population of large Blue-winged Olives and Slate Drakes (Isonychia). During hot, dry summers like 1999 and 2000, temps reached well into the 80's, which puts an end to the season. However, this only adds to the mystique of a Penns Creek brownie. 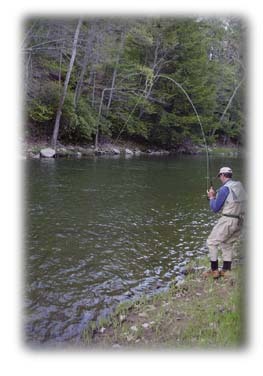 Every fly fisherman should experience Penns at one point or another. Please feel free to contact us if you have any questions about this fishery. What Penns is all about!